I designed and printed stationery as a gift for John. 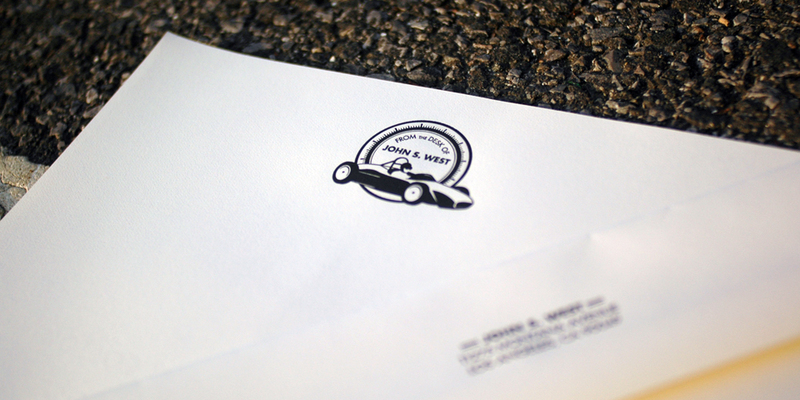 Being a fan of vintage british racecars, it was incorporated into the logo. 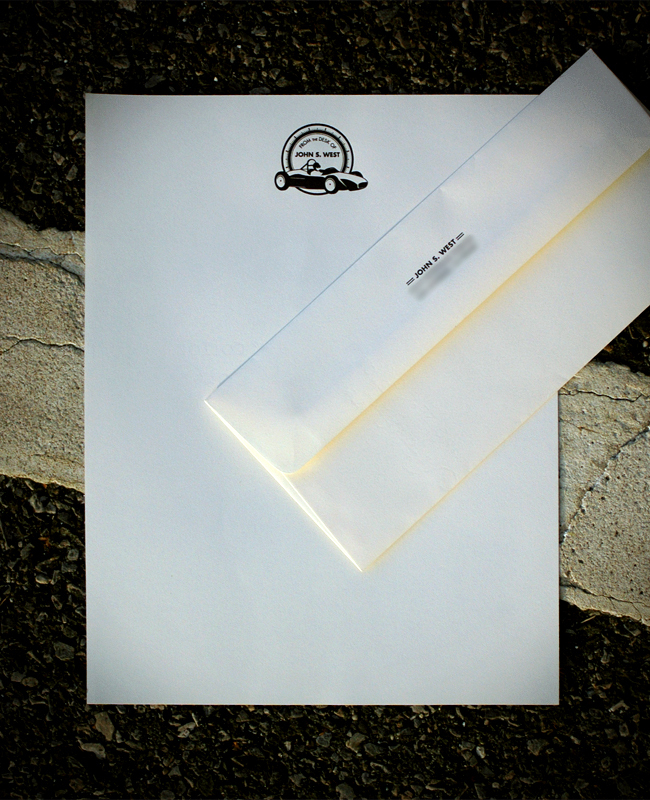 The stationery and matching envelope was printed with black ink on ivory writing paper.